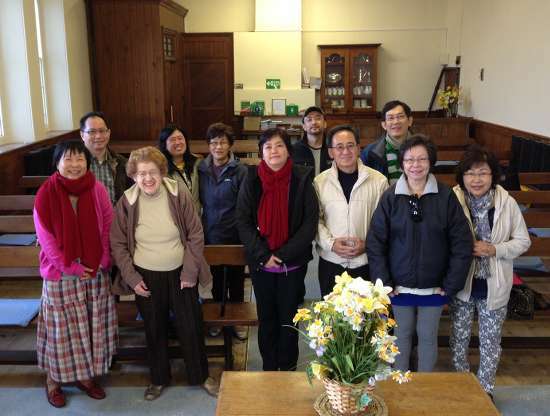 Singaporean Intercessors Invade Wales With Blessing! 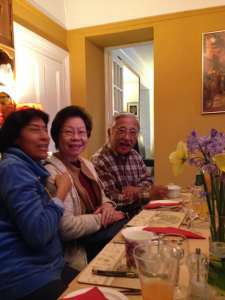 Before our trip to Singapore in March, I helped make some arrangements for a group of friends from there who were coming to Wales for the third and longest leg of a three week prayer mission. We rented a large van and our friend Huw Priday to drive and accompany during them their two weeks here. 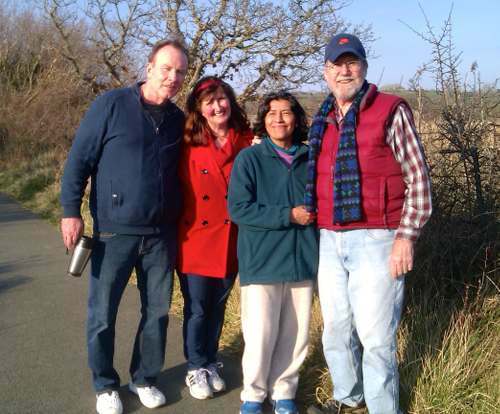 They arrived in the U.K on April 10th and Huw picked them up in Manchester as arranged and drove them into North Wales that afternoon to start on their prayer assignment. Early that morning I had a vivid dream that Huw phoned me and passed me on to someone else that was driving the group. He said that after picking them up from your mission to Iraq and Turkey, as soon as they drove into North Wales he felt that something throughout the land had changed, as if everything had come alive! I believe their trip here has made a very significant impact. As I awoke from the dream I lay their meditating and praying about it, and a whole list of many things that are actually going on in the spiritual realm in Wales in these days came to mind. This includes people that are coming into Wales to pray long term and medium term, the purchase, renovation and revitalization of the Bible College in Swansea by another group from Singapore, other prayer gatherings now happening in many places, etc., etc. There is just so much more going on than meets the eye. While I was in that place of considering so many things happening, although unseen to the casual observer, I suddenly had this picture of a scene from the 1996 film Independence Day. When the president and his entourage visit Area 51 and the wild-haired excited chief scientist starts to tell them about this spaceship that is been there hidden away for 50 years. He mentions that since those big discs came and settled into their positions above Earth this machine had begun to come alive, with lots of little lights flashing on and off and signs of intelligent activity all throughout the ship. It just seemed to be such a similar picture to what's going on around the nation Wales these days! Then my friend Andy, who has been praying for revival for years, came to visit me later that day and told me about a visit he made to Saskatoon in Canada about five years ago to a conference held were revival broke out in the early 1970's. 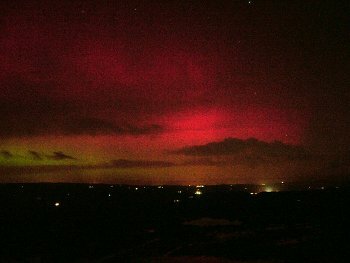 While he was there he saw an amazing display of the northern lights, and the Lord impressed on him strongly that the next time that he were to see the northern lights in Wales, that would be the year revival would begin to break out. 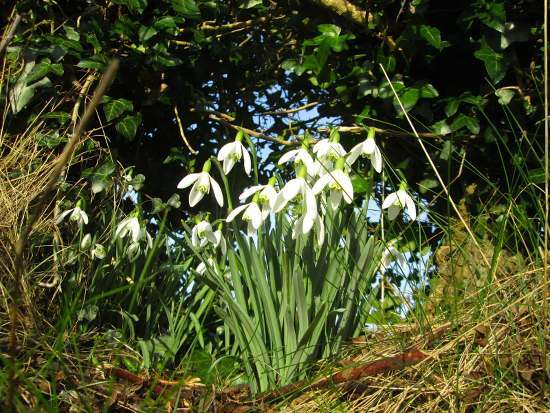 He took these photos on February 27, 2014 near Swansea! One day last week we attended the prayer room at an annual Welsh-speaking Christian camp called Llanw, "The Tide". We met some friends also praying there who had just returned from New Zealand the week before. While there, someone came to them to give them a word for Wales out of Exodus 34:10. "And He said: “Behold, I make a covenant. Before all your people I will do marvels such as have not been done in all the earth, nor in any nation; and all the people among whom you are shall see the work of the Lord. For it is an awesome thing that I will do with you." So we are greatly encouraged as we press on in prayer for God's purposes for this nation and its important role in Kingdom coming events. Thank you for joining us with your prayers for such a time as this! MIA - Missing in Action... Filling in the gaps! I apologize for such a along silence, and just wanted to send out a quick communique to let you know what's been happening lately. LOTS! I mentioned in our mid-February update that I had been having some issues with what I thought was steroid withdrawal. Unfortunately that was not the case. I was actually experiencing a recurrence of the Myasthenia Gravis that I thought I was now cured of! By the end of February the double vision was back full blown, and I began a juice fast to try and "re-boot" my immune system. I lost about ten pounds so that was good, but the situation continued to degenerate. I saw the specialist in mid-march who recommended I go back on steroids, which I was reluctant to do. The next day we traveled to Singapore through a wonderfully generous invitation, with my doctor's approval, in spite of the double vision and constant dizziness, and had a great time. Got to attend our first conference in about ten years with Bill Johnson, Randy Clark, James Goll and Heidi Baker! We had an awesome time and more prayer over our two weeks there than I've had since I've been saved! Although my spirit soared, my physical condition went the other way. I had to blend all my food because I couldn't chew, and swallowing got more and more difficult. By the time we got home I was having difficulty breathing and then choking, which landed me in the Emergency Room last Sunday, and then back in the hospital on Monday. They started me on IV immunoglobulin which in the doctor's words produced "miraculous results overnight". Just now I am finishing the third bottle for today and the final of a five day session in hospital. Gladys is en route with our friends Bryn and Sylvia, who have been a super Godsend for us during this time, to take me home at last! 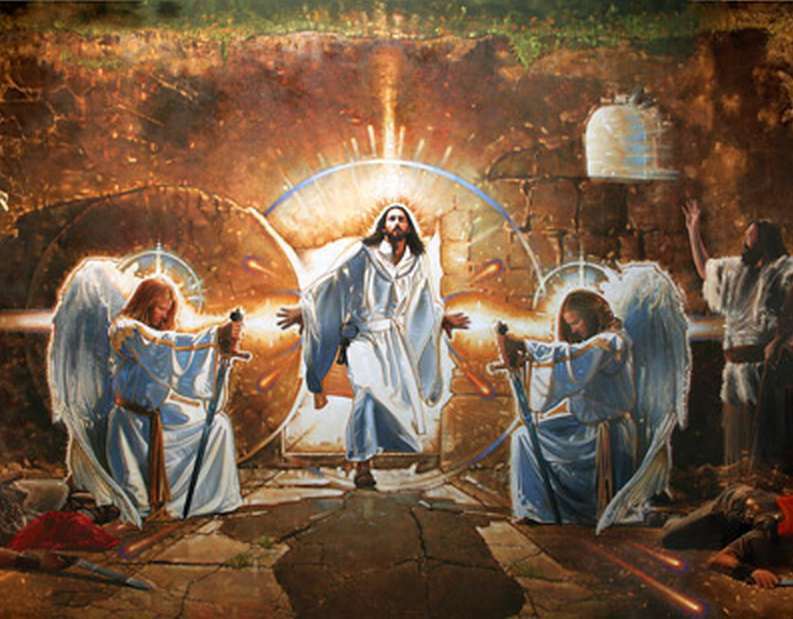 I will now on medications again, including a lessor dose of steroids for six weeks, and then carrying on long term on a "steroid-sparing" regimen of drugs until The Lord heals me of this problem. I have had some struggles trying to understand some of the mysteries of healing in my own case, but am learning to just trust and rest in His will. We will keep you posted, and I hope to fill in some of the gaps in what has been a very full five weeks!